A little bit of spice, and a little bit of sweet! Cut up the chicken and place it in the base of a lightly greased slow cooker insert. Sprinkle a little salt and pepper over the top. In a small mixing bowl, whisk together the sweet chili sauce, orange juice, minced onion, minced garlic and ground ginger. Pour the sauce over the top of the chicken. Set on low and cook for 6 to 8 hours. With about 30 minutes left in the cooking cycle, whisk in the cornstarch to thicken the juices. TIP: In a small bowl, whisk together the 1 tsp cornstarch with 1 Tbsp of warm water then pour into the sauce. This will prevent the cornstarch from clumping in the sauce. 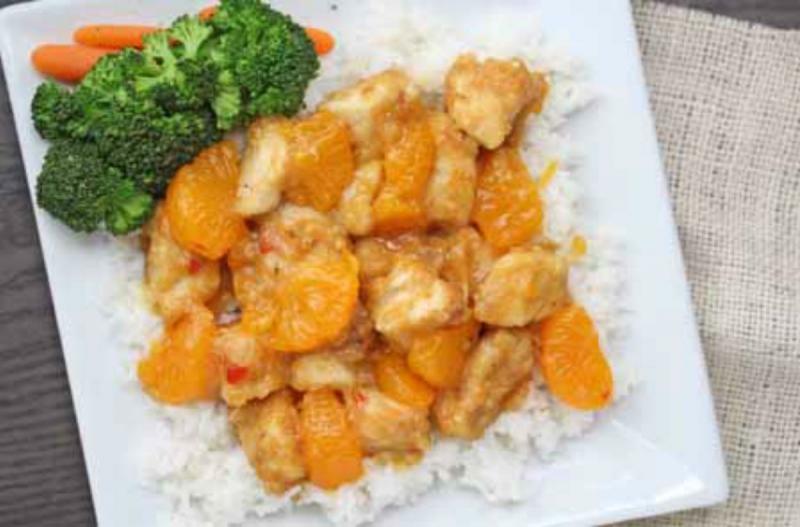 Serve Slow Cooker Spicy Mandarin Orange Chicken over rice with side of veggies. Cut 4 chicken breasts into bite-size pieces. Note: Do not add the mandarin oranges or cornstarch to the freezer bag. Remove as much air as possible and seal. Add label and freeze. Put baggie in the freezer and freeze up to 6 months in fridge freezer or 12 months in a deep freezer. Thaw in the fridge overnight, or a warm bowl of water for about 20 minutes, before transferring to the slow cooker and cooking on low for 6 to 8 hours. This meal can also be cooked in a large saucepan or Dutch oven. Add thawed ingredients to Dutch Oven and cook over medium heat with lid on for 30 minutes, or until chicken pieces are cooked. Add cornstarch and mandarin oranges at the end of the cooking cycle, as noted in the recipe above. Thaw and cook on low for 6 to 8 hours. 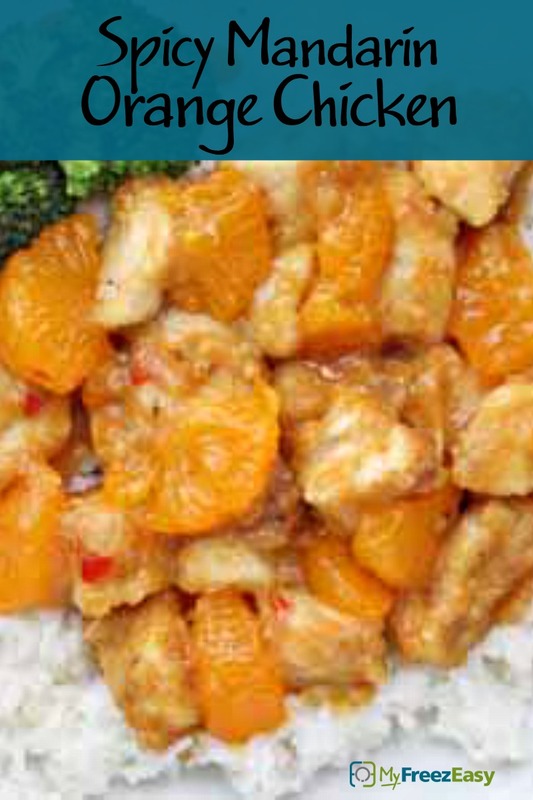 Add cornstarch and drained mandarin oranges at end of cooking cycle, as directed on the recipe. Serve with rice and veggies.